Personal letterpress project made at Ditchling Museum of Art & Craft using standard and luminous inks on archival papers. 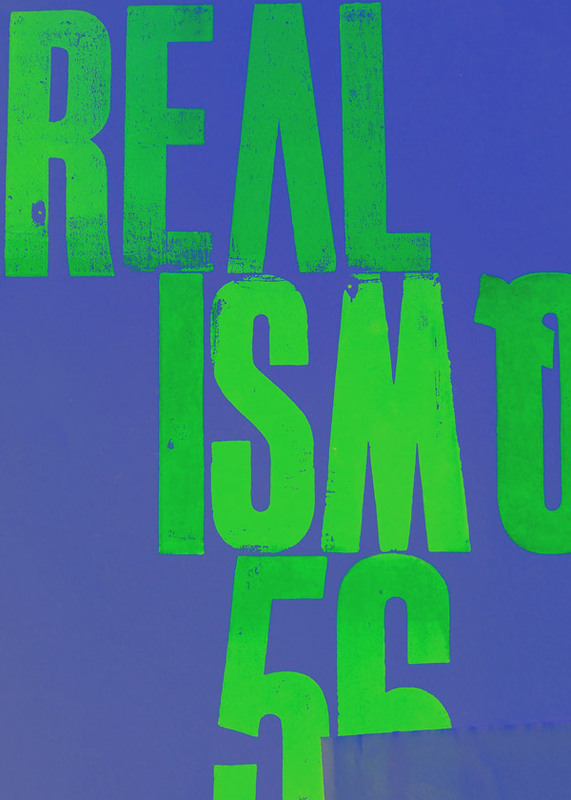 Realismo is Italian for a philospophy that is based on pragmatism and facing the true nature of situations. The first computer hard-drive was invented in 1956—whether this is the start or the end of rational thought, it marks the first major disruption to all things analog, especially in field of type design.